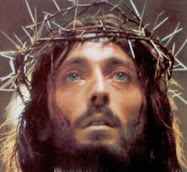 Source for this article is from a rare book in English entitled “A Lover of the Cross –St Gemma Galgani” which was published in May, 1940 by the Passionist Nuns of the Monastero-Santuario di Santa Gemma in Lucca, Italy. Intertwined in the extraordinary life of St Gemma we discover the somewhat wealthy family in Lucca named Giannini, consisting of a father (Matteo) and mother (Giustina) with eleven children along with a sister of Matteo affectionately called “Aunt Cecilia” who lived with them and helped care for the many children. 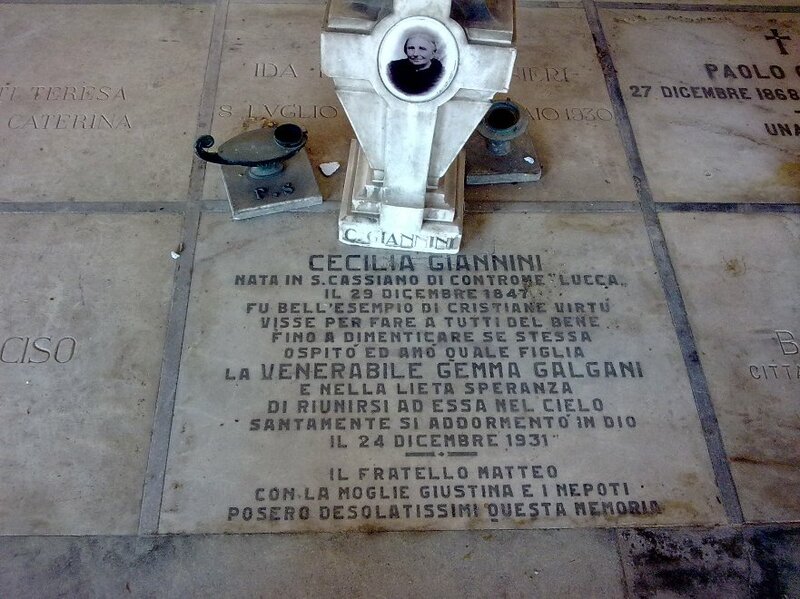 The Giannini's were a devout Catholic family, whose door was always open to visiting Priests and religious, especially the Passionist Missionaries who occasionally passed through Lucca. In the early summer of 1899, two Passionist Priests were preaching a mission in Lucca, and Gemma was enlightened by God that she was to make her confession to one of them, and God told her to reveal everything to the Priest. 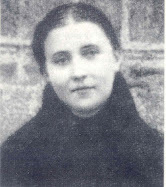 Always obedient to her Jesus, she thus simply and straightforwardly made her confession to the Passionist Father Cajetan, who was immediately taken by the account of the extraordinary graces bestowed upon her by God, and decided to speak to Cecilia afterwards, asking for more information about the remarkable young lady named "Gemma". Cecilia, a very pious and devout woman, did not know Gemma personally, but she had previously heard through friends a few months prior about the miraculous cure of Gemma, and she was very happy when Father Cajetan told her to get in touch with Gemma and have her come to the Giannini home, that he might speak with her again in the Giannini's house. Thus, Cecilia made Gemma's acquaintance in July of 1899, and invited her to her home for a visit. Cecilia very soon discovered she had found a most precious Gem in this girl named Gemma. She persuaded Gemma to come often and spend part of the day with her; she found in Gemma a spirit that greatly inspired her towards the love of God. At this time, due to the death of her father, Gemma had just recently become an orphan, and after living awhile with one Aunt, and then another, she was currently living in poor conditions with her brothers and sisters in the family home. Cecilia soon felt a holy love for Gemma, and seeing the poverty of Gemma's family, she begged her brother Matteo to let the holy girl live with them altogether. Having already begun to know Gemma a bit, he was impressed with her kindness, meekness and virtues, and was happy along with his wife to offer his home to the impoverished and orphaned girl. Since both he and his wife were quite willing to take in Gemma in spite of their own large family, Gemma's aunts were then asked if they would allow her to stay in the Giannini's home. At first they were somewhat unwilling, being, although not always sympathetic, exceedingly fond of their niece, who was in fact their greatest comfort at home. However, seeing what a great advantage it would be to her in many ways, both temporal and spiritual, as well as a help to the Galgani family to have one less to keep, they at last agreed, and Gemma was finally adopted as a daughter of the house in September 1900. To this, Matteo, the holy father and respected patriarch of the Giannini family stated "Gemma is most welcome: she shall be the twelfth child heaven has sent us. Let everyone honor this new daughter; let the servants respect her and let her want nothing." At last, Gemma was in an oasis of holiness and peace and thus began the great and holy friendship between the devout holy woman named Cecilia aged 52, and the budding young woman named Gemma, age 23. 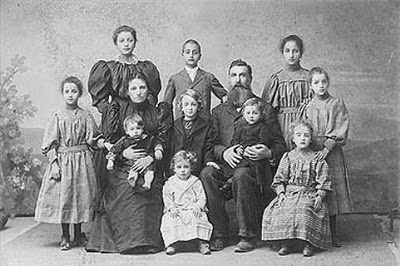 Thus having been taking in by the Giannini's, God had provided for her, as Gemma's life at home had become very difficult. Her aunts together with her brothers and sisters did not understand, much less appreciate the extraordinary supernatural gifts and graces that Gemma was receiving from God. Along with the stigmata, Gemma was at times rapt in ecstasy, and the strangeness of all these things happening to her was very little understood and appreciated by her family. Thus the misunderstood graces given to Gemma became reasons for them to be not always very good towards her; they were in fact sometimes quite cruel. It was at this moment that God in His goodness opened for her the door of the Giannini house where she would find a new mother, Aunt Cecilia. In the new house she became externally a very industrious and useful member of the family, and a true elder sister to the younger children of the household. Amidst the large Giannini family, Gemma always very reserved in her speech and actions, for the most part led a silent and reserved life, that hid numberless little duties she accomplished for the love of God. Gemma, now having moved in with the Giannini's, Cecilia was able to get to know Gemma and care for her in a special way This prudent woman was then able to watch over and care for the saintly girl during the long hours of her mystic sufferings. The more she saw the more she thanked God for giving her such an angel as a companion. "I prayed more," she [Cecilia] said, "I was more recollected; even in difficulties I found myself more at peace. She was not talkative, but when I asked her anything, or made known any of my trials, a word or a gesture from her was enough to bring instant peace." On her part Gemma was most grateful to this kind benefactor, whose charity offered her a refuge from the persecutors at home and the curious outside. "From that time," Cecilia wrote, "I loved her as a mother and I have always regarded her as such." -I knew that in this delicate way, she alluded to the affection she felt for me and feared that it might not rest entirely on supernatural motives." In the morning, her first thoughts and actions were for God, and often without uttering even a word with Aunt Cecilia, she went with Cecilia to one of the Churches nearby, generally to that called «della Rosa», which was close to their house, to assist at two Holy Masses and to unite with her Jesus, or better, as she said “to paticipate in the feast of Jesus love”. And Aunt Cecilia adds: "To see her one would have thought she was preparing for a wedding". For Gemma, the first Mass was of preparation for Holy Communion and the other of thanksgiving for Holy Communion, because as she once said: “It is a question of uniting two extremes: God who is everything and the creature who is nothing. God who is light and the creature who is darkness; God who is perfect sanctity and the creature who is full of sin. We must share in the table of Our Lord, and one cannot prepare too much for It”. 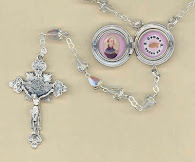 But these and the other supernatural gifts, especially the stigmata on Fridays, were now known by all in the family, especially by Aunt Cecilia, whom she called affectionately her “mamma”. Fortunately, the Giannini's knew how to keep the "Kings secrets" and never a word got out of the house concerning all the extraordinary supernatural graces that Gemma was then receiving. Aunt Cecilia always wished her to sit by Gemma's side in the workroom or in the open air and, while Gemma went on with her knitting or needlework, they would spend the hours together talking about the soul and the love of God, the desire for Heaven or the feast of the day. It was during these talks that Cecilia the “mamma” succeeded in learning much about Gemma's extraordinary interior life, and these innocent conversations have given us many secrets that otherwise would have remained hidden forever in Gemma's heart. For this reason, we who are devoted to St Gemma are greatly indebted to Cecilia Giannini for passing along a wealth of information concerning Gemma. "When I am with Gemma" wrote Cecilia "I have a sense of peace and tranquility. Only to watch her beside me makes me more recollected and patient; it gives me a sense of strength, and I do not feel so much the weight of my cares. What an account I will surely have to give to God if I do not appreciate the gift that he has given to me in sending this angelic girl to our house." Her incessant prayer was not fruitless before God, and the occasion to show her gratitude came. Signora Giustina, Matthew Giannini's wife and mother of the 11 Giannini children fell very seriously ill; she suffered the most acute pain in the stomach, so that the doctors gave little hope of her recovery. Gemma begged God to allow her to suffer in her place and her prayer was heard. Signora Giustina quickly got well and Gemma fell sick and for some months suffered the most excruciating pains: a true martyrdom. Concerning this illness that she took upon herself she admitted to her confessor in a letter that “…they were very fierce pains indeed!". 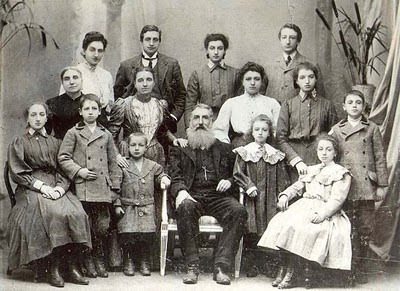 Without ascribing it either to her presence or to her prayers, Gemma revealed to her Director the blessings that God bestowed on this family, who by taking care of the orphaned Gemma had acted after His own Heart: "If you only knew how He helps them; He blesses them every moment; He withdraws them from danger" she once wrote. Do you think then, dear Reader who read these lines, that St Gemma would pray any less for you if you were to call upon her, and ask for her heavenly prayers and assistance? In the Giannini family she was loved by all and she was quickly considered their greatest treasure. Nothing was too good for her. But they had to be careful in their kindness, for it pained the humble Gemma if she noticed she was the object of special care. "I am asking Jesus," she wrote once, "for patience, not for myself but for my aunt here [Cecilia], because she needs it with me. I would rather have nothing of all that is done for me. If you only saw, Father! In some things she prefers me to the others; she goes as far as to have my bed warmed for me. Now ought these things to be done for me? Will you speak to her? Very many things are done for me, who ought to be treated as worthless, and not even a 'thank you' escapes my lips. Oh! 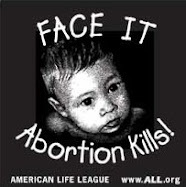 if at least with my cold prayers I could benefit those who are kind to me! My wish would be that they should treat me as a slave." "Perhaps you, Father, would think of it and tell the Angel to keep hidden and not let the others see him." It was partly this that made her so urgent in her request to go to the convent. "Oh, why do you leave me exposed to the gaze of all? And what would happen to me if they came to know certain things?" In her humbleness and docility, Gemma always sought to obey others. Cecilia in a letter to Father Germano gives us an example of her obedience: “After Holy Communion in the Church of della Rosa, where we very often went, being alone, instead of going back to our place in a corner as we normally did, we remained at the balustrade. I waited for the benediction by the priest, but Gemma was already rapt in ecstasy and, fearing the priest might perceive her, I said within myself: 'Oh Jesus, if it be your will, make her return at once to her place' . Would you believe it? she raised her head at once and looked directly at me. I beckoned her to go to her place, which she did. Finding this plan so successful, I afterwards did the same thing on numerous occasions, and God, who so much loved His faithful servant, always made her obey”. Mateo Giannini, the father of the large Giannini family, a most noble Christian gentleman who had received the poor orphan into his home, gave the following testimony in the Official Processes after World War I-- "I believe it a duty on my part to say this: My five sons were in the war exposed to the greatest dangers and they all returned safe and sound. One of them had been appointed to a very dangerous post but the order was cancelled. I maintain that he as well as the others returned through the intercession of Gemma to whom we have always prayed. And I believe that it is due to the prayers of Gemma that all my sons turned out well. They are my greatest consolation. They receive Holy Communion every day and give much of their time to the works of Catholic Action. And, of my daughters, five are Nuns, one stays at home and one is married." With morning dew revives; with tender care . He feeds the winged inhabitants of air, regardless whether autumn smiles or winter frowns. And drew thee trembling to the unhoped for shore. A kindred spirit calls thee to her side, And linked with her in Christian unity, Thy feet shall scale Perfection's rugged height, Till fear be lost in love, and faith in sight. As Gemma died on the Vigil of Easter (Holy Saturday 1903) like Gemma, Cecilia was also to die and take flight for heaven on the Vigil of the other great feast day- Christmas Eve, December 24, 1931. For many years after the death of Gemma she bore witness to all of God's marvels in the remarkable life of St Gemma. For years she met with countless pilgrims to Lucca--all seeking to know more about Gemma. One example of the many visitors that Cecilia met with would be the Rt. Reverend J.F. Minihan D.D. who met with Cecilia in Lucca in 1929, while a seminarian at the North American College in Rome. He was later to write the preface of the book "Portrait of St Gemma- A Stigmatic". 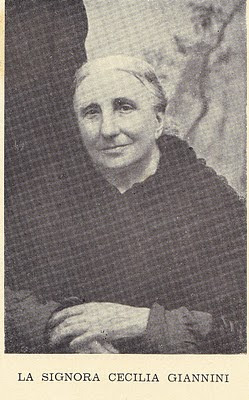 Cecilia, being a key eyewitness to the life of Gemma, she twice gave official testimony concerning Gemma, firstly for the diocesian inquiry (Processi informativi) between 1907 and 1910, and then later for the Canonical process which began officially in 1922 (the process of beatification/canonization of St Gemma). The Canonical process took 9 years, and it is as if Cecilia was waiting for the solemn declaration of Gemma's heroic virtues before taking her flight for heaven. On Nov 29, 1931, the Decree was read in the presence of the Holy Father, Pope Pius XI, declaring Gemma's virtues "heroic". On this day it became permissible to invoke her as “Venerable Gemma Galgani”, and it was with inexpressable joy that Cecilia and all of Gemma's freinds and devotees recieved this decree of the Church. And, only 25 days after the solemn decree, God was to call His servant to Himself. As Gemma died on the vigil a great feastday, so was Cecilia also to pass on the Vigil of the other great feastday. And so it was that on Christmas eve, December 24, 1931, the great friend of Gemma passed from our sight to join Gemma in praising the love of God for all eternity. For it was surely Gemma, along with her family and friends, who welcomed her into the beatific vision on that great feastday. Cecilia Giannini, born in s.cassiano di controme lucca on December 29, 1847 was a great example of christian virtue. She lived to do good, forgetting herself. 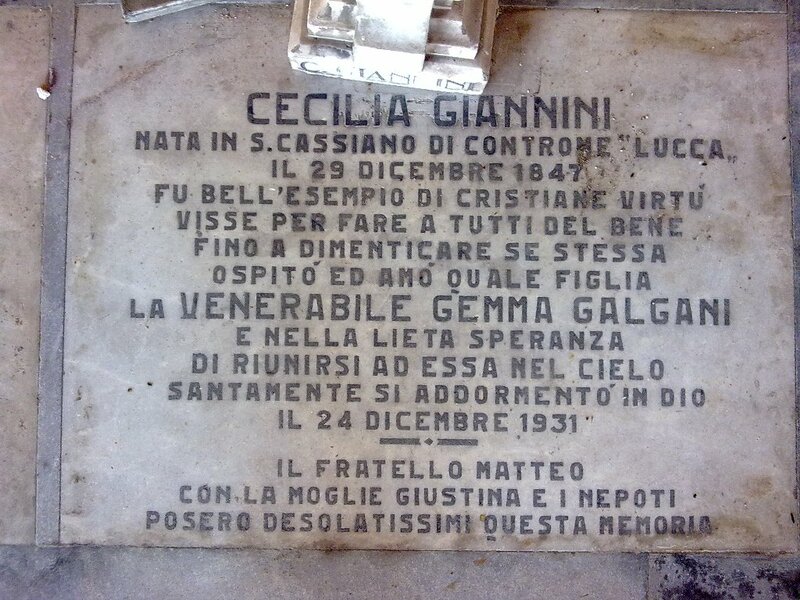 -The webmaster would like to thank Davide Ducceschi, a kind friend in St Gemma, who generously went to Lucca and took the excellent photographs of Cecilia's tomb, along with providing the dates of her birth and death. Davide explained that Cecilia's tomb marker is in the old communale cemetary in Lucca, which is adjacent to the new one. This is also the place of Gemma's first burial. On the right section is Gemma's first tomb, alongside her brother Guido Galgani. In the left section is the tomb marker for Cecilia. ~Cecilia Giannini, pray for us!